Tony Wagner is a compelling champion for change. In his books and TED talks, the former teacher and “Expert in Residence” at Harvard University’s Innovation Lab makes the case that “reform” doesn’t sufficiently capture what it will take to align our education system with the emerging economy. Wagner says that what’s needed now is nothing short of system reinvention; that we’re overdue for shifting the metric for success from what students know to what students can do with what they know. Further, Wagner has observed that student success is most likely when this adaptive, collaborative skillset is complemented by a strong sense of intrinsic motivation. In a series of interviews he conducted, outstanding young innovators consistently expressed the value of giving back and making a difference—a value that had been nurtured by parents and teachers who allowed them to discover their passion and purpose through play. Now, I know there are thousands of teachers and administrators who share Wagner’s perspective and are working to reinvent our education system from the inside out (see for example, Educators 4 Excellence). I also know that these innovation-friendly skills and values are already firmly established in the recruiting and people-development playbooks of entrepreneurial leaders and start-up talent managers. But I think Wagner’s message has relevance for leaders in every sector of the economy—maybe especially those currently being subjected to disruptive innovation. Innovation, after all, is learning. Regardless of the nature of your work, the extent to which learning is integrated into your culture directly impacts your ability to achieve and sustain the results you want. What ideas can you borrow from a conversation about reinventing education to awaken the playful, adaptive, purpose-driven learning capacity of your own organization? It’s not surprising how many of us consider “problem solving” to be one of our strengths. Simple human nature probably explains why our attention is consistently drawn to what’s not working, what’s broken or missing, what’s causing us inconvenience or pain. And that’s not a bad thing. Because there are plenty of things that are broken right now. From the classroom to the congress to the climate, there is no shortage of critical problems to be solved. But what if our relentless focus on Fixing is undermining our best intentions? As we consume an endless litany of examples of human suffering, wrongdoing, short-sightedness, and imperfection do we lose track of what IS working and diminish the spiritedness we need to envision and create our best future? One of the exercises my partners and I feature in our Coaching from a Systems Perspective course is called the Engine for Success. In it, participants identify those mutually reinforcing variables that are feeding their success as coaches and leaders. For example, curiosity feeds learning, which in turn feeds curiosity. From November 6 through 8, we’ll be in DC facilitating conversations that similarly accentuate the positive at the 2014 Systems Thinking in Action Conference—a gathering of change leaders devoted to creating systems of wellbeing in our organizations and in the world. I hope you can join us in spirit. Or even better, join us in person! During the autumn months in New England, we coaches have a co-conspirator in Mother Nature. Wielding her paintbrush and bending the angle of the light to move the seasons, She forces us to take new perspectives and directs our attention to marvels un-seeable in the full sun of summer or the winter dark. A visit yesterday to the Trustees of Reservations’ Coolidge Reservation in Manchester, Massachusetts stimulated some reflection for me. 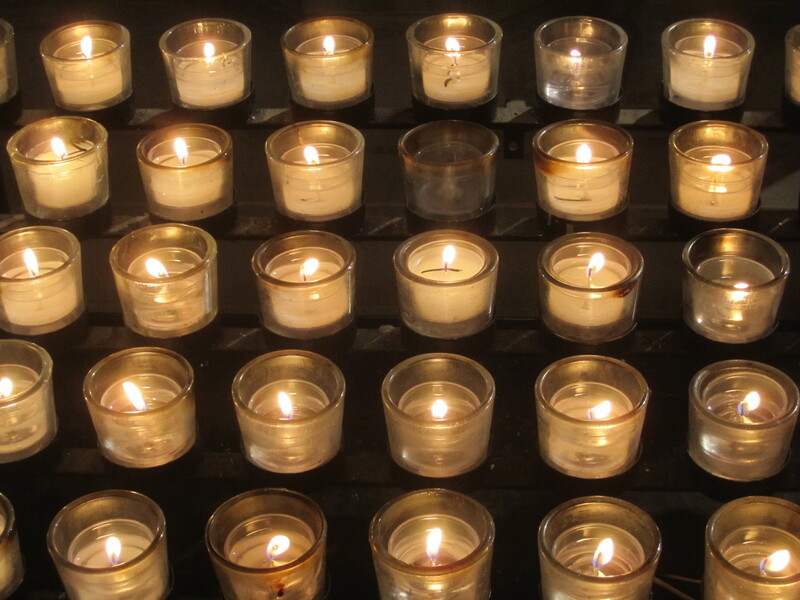 With good reason, light is probably our most common metaphor for understanding…enlightenment, illumination, clarity. To see something clearly is to truly understand it. 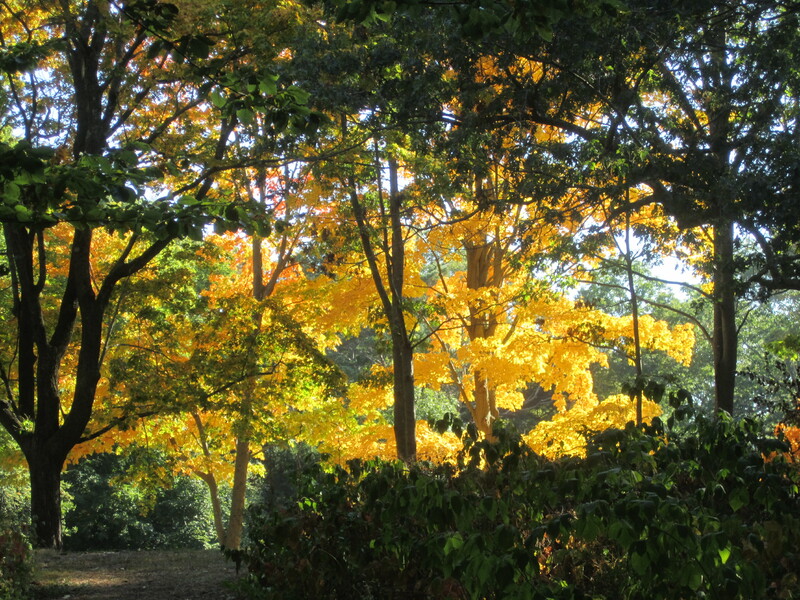 But I think the light during the transition from summer to fall works a more subtle magic. To see something differently is to understand it differently. What looks like a beginning might be an ending, and vice versa. What practices help you bend the angle of the light to see things differently throughout the year? Particularly when you feel confused or stuck? This is exactly the kind of opening we try to create with leaders who are grappling with the challenges of effecting sustainable change for themselves and their organizations. We find that it is often new insight about the vantage point from which they’re viewing a complex systems environment—and their ability to try on other vantage points—that allows them to break through to new ways of thinking and acting. 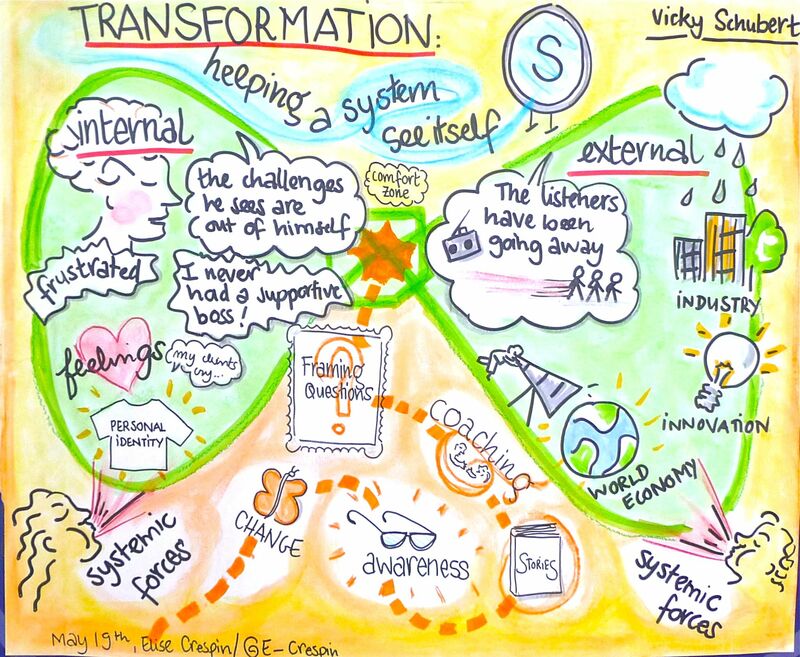 Having just returned from the SoL Global Forum in Paris, where I had the pleasure of presenting a workshop on the Butterfly Framework, I can report that there is a vibrant international community of coaches and consultants who understand the evolutionary importance of greater systems awareness. Colleagues from no fewer than fifteen countries shared stories with me about how they are catalyzing transformation by helping their clients ask more beautiful questions and better see the systems they are and the systems they’re in. What question, if you asked it right now, would move you to a new perspective? As the first woman to win a Pulitzer Prize for literature, Edith Wharton is best remembered for masterful stories and novels that consciously exposed the turn-of-the-century world of wealth and privilege she inhabited. Less well known is the fact that Wharton was an innovative designer whose first published book was The Decoration of Houses, a guide in which she and her co-author, architect Ogden Codman, Jr., pioneered an aesthetic of clean lines and graceful spaces that rejected society’s prevailing preference for ostentation. When you visit The Mount, the country estate she built in Lenox, Massachusetts in 1902, you see many design choices that reflect Wharton’s simpler, classical sensibilities. In one important instance, you also see how she used design both to tweak the social conventions of her era and to stimulate her inner storyteller. Other estates being built at this time featured large dining rooms in which massive rectangular tables were intended to impress. In his place at the head of the table, the host’s status would be perfectly clear. 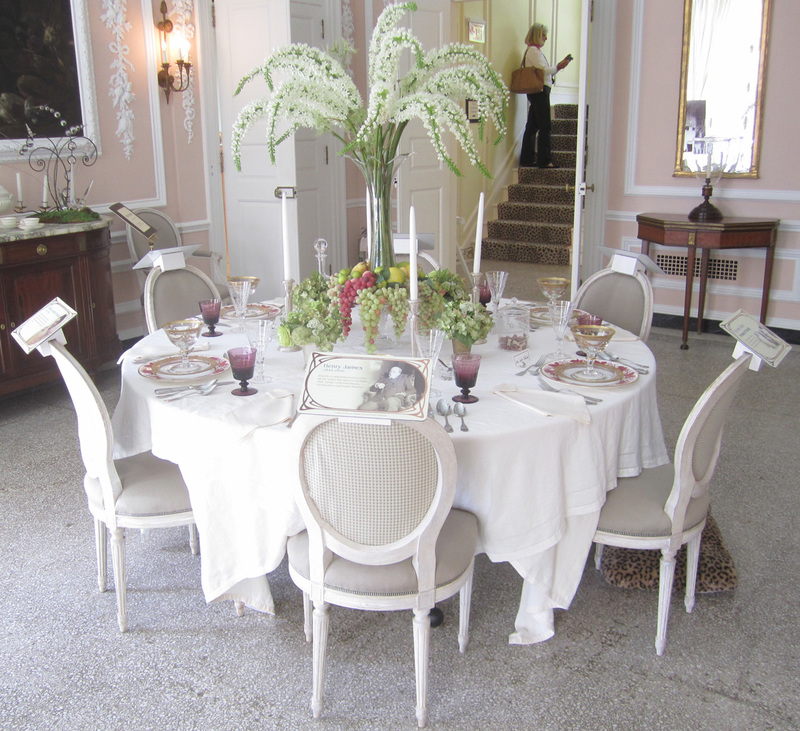 By contrast, for the dining room at The Mount, Wharton created a smaller, intimate space, opening onto the garden and full of light. At its center she placed a small, round table, just big enough to accommodate eight people. And at this round table, where corners couldn’t “cut off conversation,” she and her guests (often including her dear friend Henry James) engaged as equals in lively literary dialogue. Wharton was no feminist. Politically conservative, she moved to France after her marriage ended and stayed there until she died, avoiding the awkwardness of divorced life in American high society. Nevertheless, in her round table, I see a tiny contribution to the dramatic social changes that were afoot. As any experienced facilitator can tell you, when you change the space, you change the conversation—and there is nothing like a circle to get people talking and telling stories. How do you create spaces where conversation and change can happen? My husband and I turned the clocks back twice this past weekend. We turned them back on Sunday of course, because we like to keep in step with the world around us; we also turned them back—in a more metaphorical way—on Saturday when we took my mom to visit the Fruitlands Museum in Harvard, Massachusetts. The Fruitlands property was at its autumnal best, surrounded by big sky and sweeping ranks of leafy rolling hills. 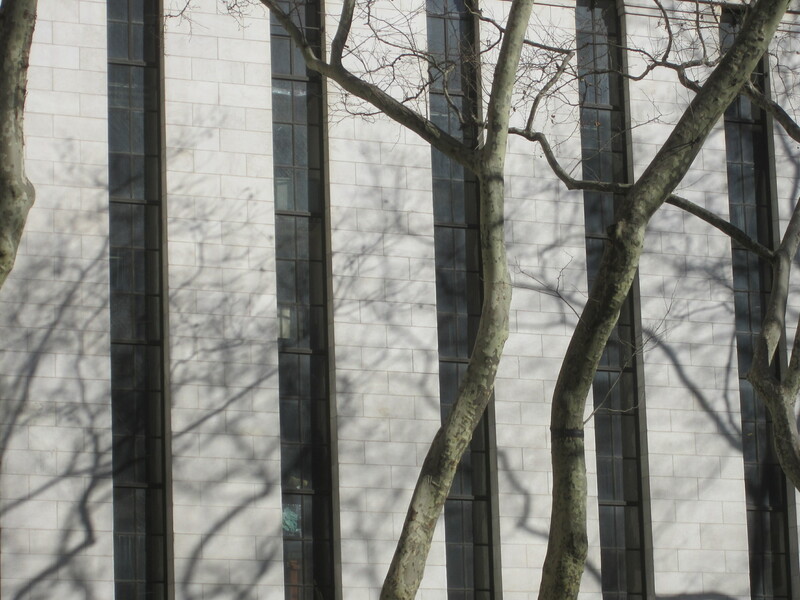 There was little intrusion of modern reality as we browsed the loosely connected mementos of other lives preserved in the museum’s collections—from Native American settlements, to the 18th century beginnings of the local Shaker community, to the 19th century Utopian commune of Bronson Alcott and Charles Lane. We saw many reminders of how our relationship to time has changed over the past two centuries. Long hand-written letters and carefully crafted furniture and textiles suggested the deep breath and steady heartbeat of people absorbed in painstaking tasks. 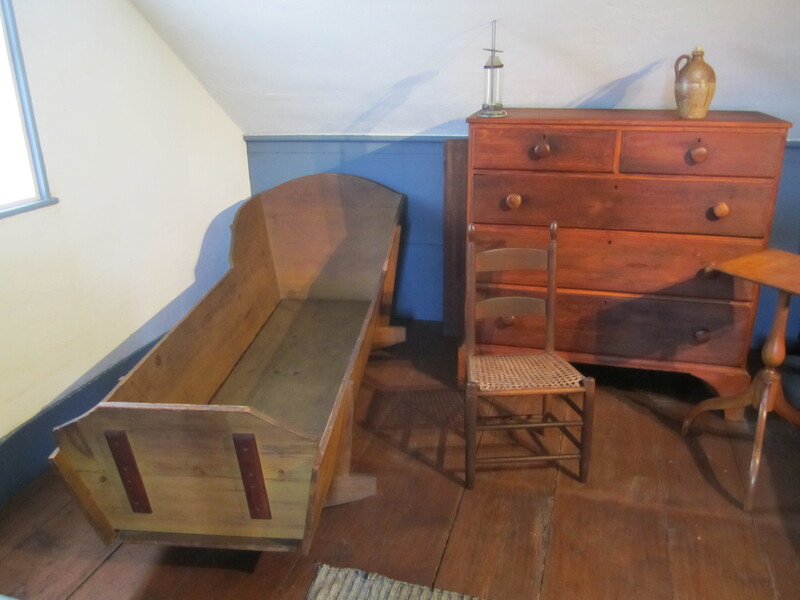 But nothing stopped me in my tracks like this adult-sized cradle that the Shakers used when caring for the sick and dying. This humble object, and the tender images it conjured, made me wonder if—for all our positive advances—we have been losing our capacity for patience and presence in our rush toward the future. I, like many in the systems thinking community, was saddened to see the demise this past spring of Pegasus Communications. For over twenty years, this lively little company had created and distributed user-friendly resources that enabled managers, teachers, and change agents of all stripes to act with greater understanding of the dynamic interdependencies in their operating environments. The Pegasus annual conference was like a family reunion to a community of people who see systems literacy as essential to our survival as a species. At the same time, being systems thinkers, members of this community are not inclined to dwell too long in a state of sadness and loss. Instead, they are quick to recognize that, as in any living system where death gives rise to new life, the abandonment of old forms is a necessary component of learning and growth. Just as the fallen trees I saw while hiking in Pennsylvania last month provide fertile ground for the emergence of new organisms—and the renewal of the forest—so the passing of Pegasus creates a space ripe with possibilities for innovation. It is into this space that Siraj Sirajuddin of Temenos has entered, with great spirit and optimism, to host the 23rd Annual Systems Thinking in Action Conference, November 14–16, 2013 in the Washington, DC area (in beautiful Leesburg, VA). I am sure that the inextinguishable curiosity, creativity, and energy of the systems thinking community will make this a stimulating and memorable new beginning.